I read about bacon wrapped cherries on Ugly Green Chairs blog and thought it sounded like a perfect recipe for Kenn and Jenn's Super Bowl party. It sounds strange but they were really easy and really tasty! 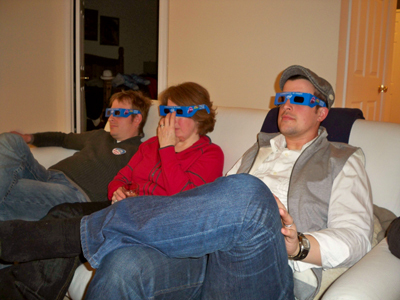 Besides the bacon wrapped cherries, the second highlight of the Super Bowl for me was watching the 3D commercials. 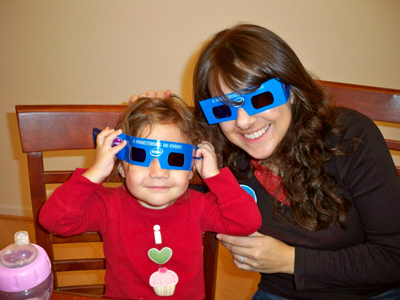 We picked up a bunch of 3D glasses at Wegmans. Stylin! Oh and I didn't really pick a team to root for but these t-shirts are cute! 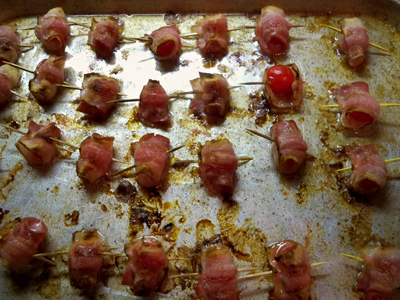 Next time you might try bacon wrapped cream cheese in jalapenos. You split the jalapenos in half and fill them with cream cheese. They're amazing! I have to give credit to The Pioneer Woman for the recipe. I read that too. And you are brave. Heh. 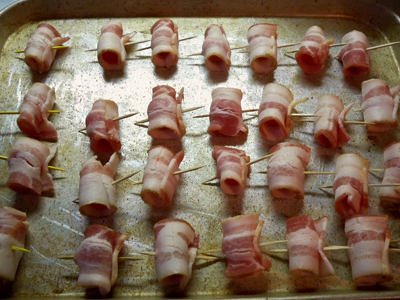 oooh I have to try the bacon wrapped cream cheese in jalapenos. Mmm.